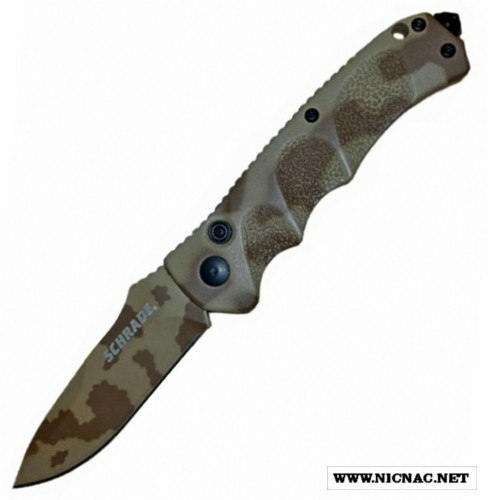 Schrade SC60D Automatic Knife with a Desert Camo handle and a 3.25 inch Desert Camo Drop Point blade that has a 3 inch cutting edge. Overall open length of this side opening knife is 7.875 inches. It is made for the right hand user and is tip up carry.